Today, during my one-hour lunch break, I ventured into Fondren to try out a new Latin American restaurant, Café Olé. It’s a taco stand that proves a quick and easy meal for any student looking to catch a break from the Caf’. The building, a repurposed gas station, was not overly crowded and pretty quiet (aside from the salsa music video from the T.V.). It is in a great location for those looking for a little relaxation with close friends. I walked in, placed my order at the counter, and found a spot to sit in, which was relatively easy, considering this was the middle of lunch. I ordered a chicken quesadilla combo, which included chips, salsa and a drink, and my food was ready in 20 minutes. Initially I was struck by how fresh all the food tasted. The salsa is not something to be missed! Being pretty hungry, I was happy to find that they do not short their customers on serving size. It was a tall (and tasty) task to finish the whole plate. On the downside, some could consider the food kind of pricey. The meal was 11 dollars, so with a drink you can expect a meal at Café Olé to put you back about 13 bucks. 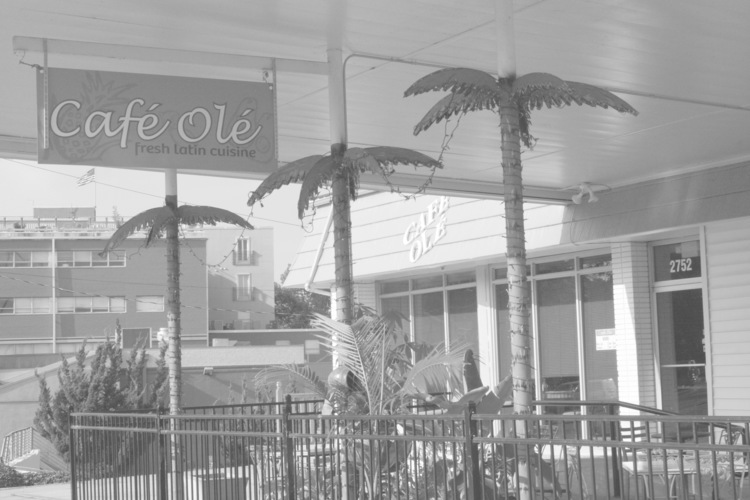 Cost aside, if you are looking for a place to grab a meal and study, a way to get your Latin-food-fix or just want a new place to eat at on a Friday afternoon, make sure to come visit Café Olé.